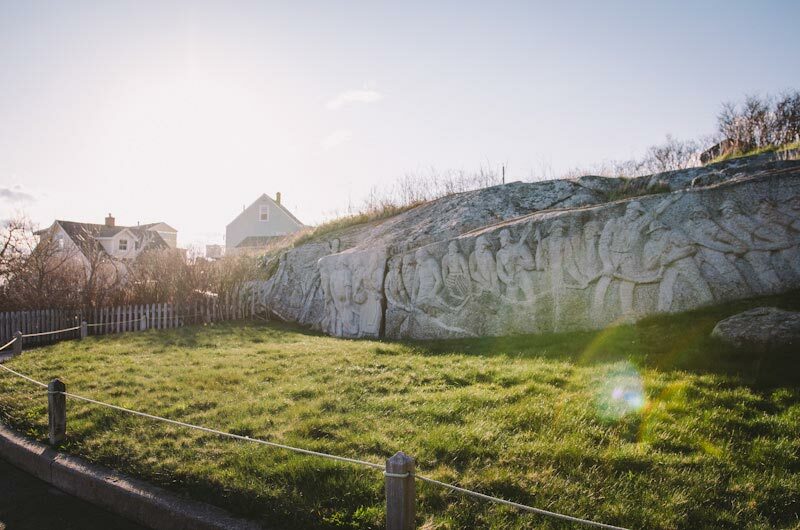 William E. deGarthe carved this “lasting monument to Nova Scotian fishermen” on a 30-metre (100-feet) long granite outcropping situated behind his house in Peggy’s Cove along the South Shore. 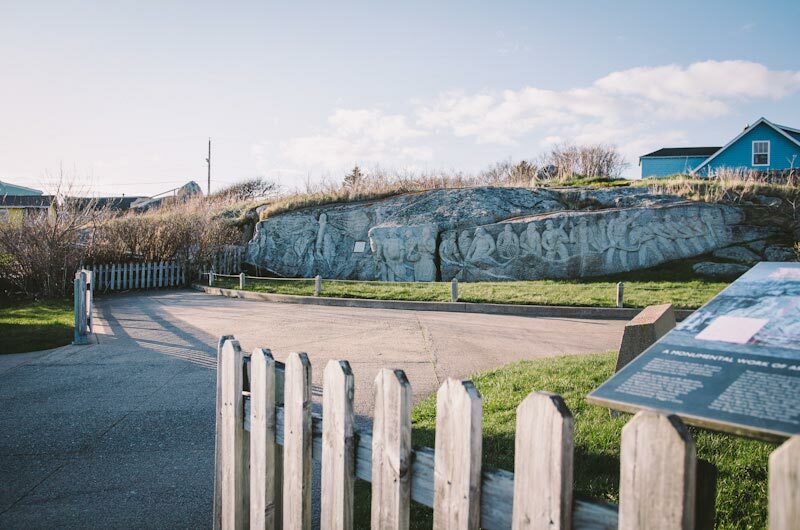 The sculpture depicts 32 fishermen, their wives and children, St. Elmo with wings spread, and the legendary Peggy of Peggy’s Cove. William deGarthe was born in Finland and immigrated to Canada in 1926, and for many years he spent each spring and summer at Peggy’s Cove. Bus tours are welcome. Parking is available.